Last July, my Grandmother Margherite Catanese passed away. For a week or two, my family told stories about her as we rummaged through photos. It was a hard time, but also cathartic. My family is filled with hard-working, Italian-American immigrants with midwestern souls. 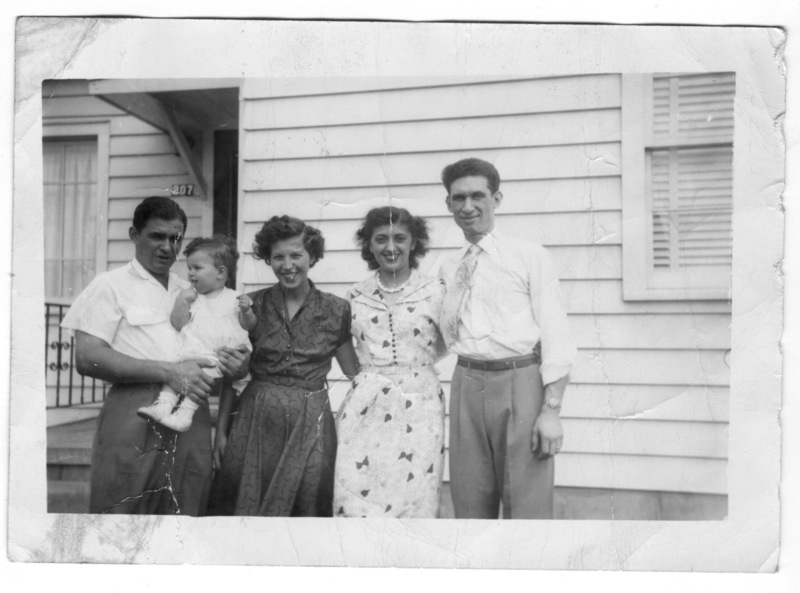 My grandmother’s grandparents came to America on a boat from Italy. “Catanese” is an Italian surname, meaning literally "Catanian", "from the city of Catania" or "from the province of Catania”. Catania is the capital of the Province of Catania in Sicily. She and her family grew up in north Akron. I always imagine that they were proud to see their sons and daughters settle into America—to create their own life and run their own businesses. They have run their own excavating companies, started their own taverns, and settled into the Akron community. My Grandmother Margherite at Jo Jo's Tavern in Akron, Ohio. I love rummaging through my grandparents’ old keepsakes in the basement, and the beautiful kitchen items from their tavern. The white enamel coated steel pots have red rims and slight patina where the enamel has worn. My grandma kept everything—from vintage travel brochures to steel bottle openers. There are old photos of when my grandparents traveled to Italy. Katey and I even have an old red leather and steel stool from the tavern her husband Carl helped run in our living room. These items hold deep histories and sat at the heart of where the stories of our family were made. 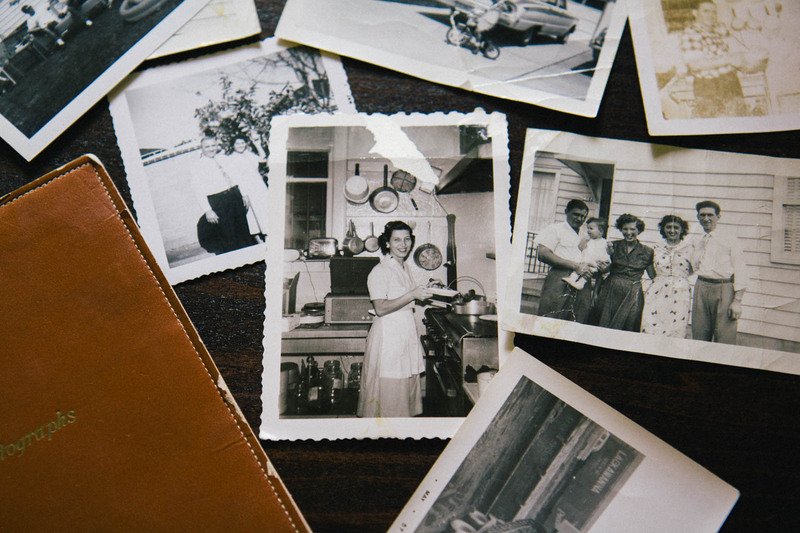 Although I am often looking at people I’ve never met, flipping through old family photo albums calls forth a deep connection to my ancestors. There is something very primal about wanting to know where I came from. I even find myself creating my own memories from the photos themselves—picturing the stories unfolding as though I were present at the time they were taken. 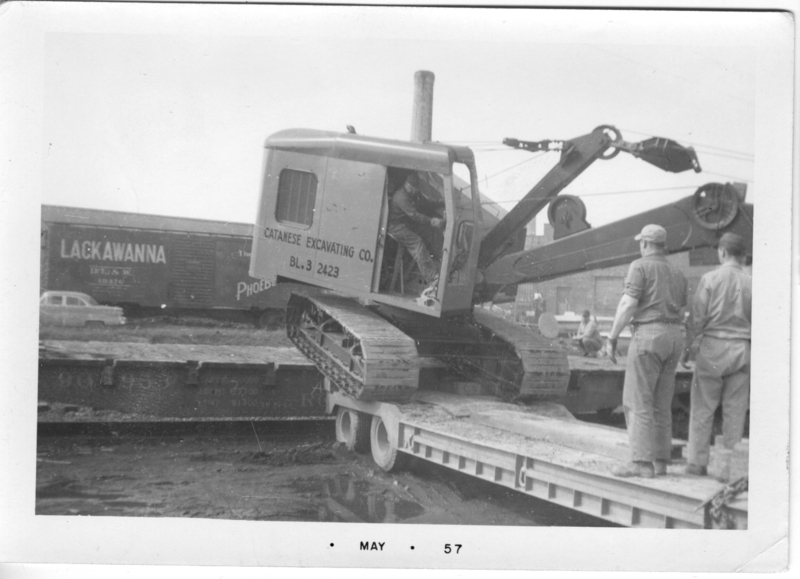 Catanese Excavating Co., May 1957. 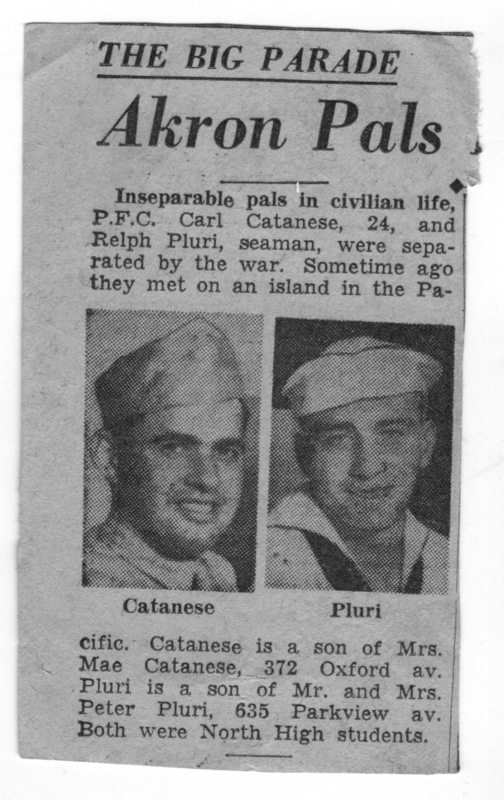 Carl Catanese, my grandfather, looks exactly like my Dad. In my english class during my sophomore year of college, we had to write about a piece of our family history and the historical context that it was set in. I decided to do some research about the time period that my grandfather Carl and his brother Joe opened their Tavern on E. Tallmadge Avenue in Akron. I interviewed my grandmother about her experiences working in the kitchen there alongside her husband. At the time I interviewed her, I knew that what I was doing felt important, but didn't quite understand why. Now that she has died, I am realizing how valuable her stories are, and the way they have preserved pieces my grandmother’s life. I recently listened to a podcast from On Being, where Krista Tippet interviewed David Isay, who started StoryCorps. They discussed the importance of creating spaces to tell stories and have intimate conversations. Isay once recorded and interview with his father, which at the time he thought was insignificant. Shortly after, his father passed away. Isay then understood the beauty and depth of the interview. Isay often says that “The soul is contained in the voice.” I think this is what happened when I talked to my grandmother and wrote down our conversation. The following is from an interview with my grandmother Margherite Catanese, 2011. I did my best to write down her words as we talked. “We had the Tavern for 18 or 20 years. We had a good family business. It was on Tallmadge Avenue, you know, near the train tracks. It was across from a shop, I think, called the Working Man’s Overall shop, and Carl’s brother Tony lived in a bungalow next door. There were eight or nine people who worked there in all: Joe was the oldest, and he ran the place with his brothers Tony, Ross, Pete, his sisters Margaret and Janet, his mother Mae, and me. Tony was in his excavating business, and Pete was the youngest and did all the papers for the place. “You know, I used to make the meatballs and sauce at home. It would take about three hours, and we would load it up into crock pots and set them on the floor of the car to take to the tavern. We lived on Damon Street. The work wasn’t hard. We were closed on Sundays, and we would clean all day—our place was always spotless! We had big tubs in the back kitchen that we could clean our big pots in. You know, we had no dishwasher then. “That was during the 40‘s, when the war was. Everybody was busy. We served all week to the workers who would come in for lunch, usually about noon or so. I can still picture the guys lined up there. They would give the orders and you’d hear: Cheeseburger! Grilled Cheese! Chili! Meatballs! A lot of the men usually sat at the bar. Joe was the bartender. There were red stools at the bar and wood chairs at the tables—they held up pretty good. “The men would usually come after work, and Joe and the other guys would sip beer and talk about whatever men talked about. 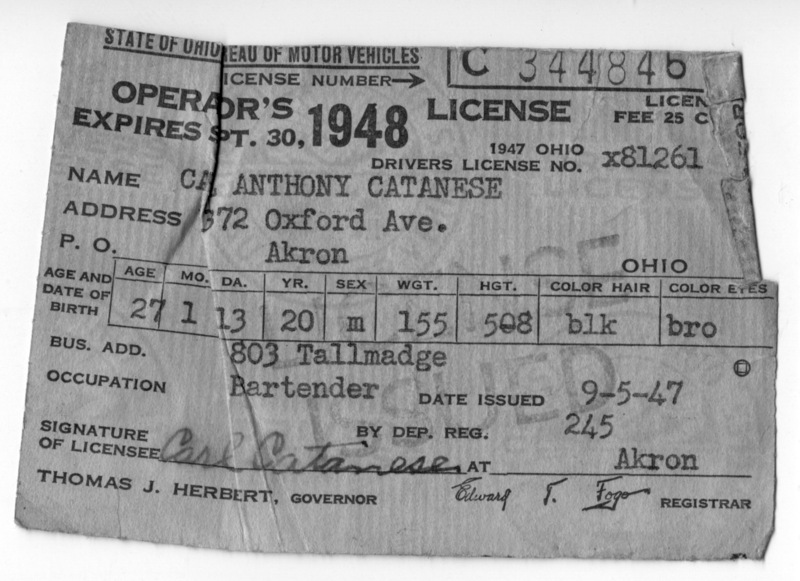 My Grandfather's Driver's License, 1948. I believe the person on the left is Joe, my Grandpa's oldest brother. I'm not sure about the other two. As a designer, I am always amazed by the sign-painted menu. The Goodyear Tire and Rubber Company bought land in Akron, Ohio in 1916. One year later, it branched into another plant known as the Goodyear Zeppelin Company, which produced zeppelins for World War I. As the war died down, it continued manufacturing this early form of the Goodyear blimp. During World War II, the economy slowly pulled out of the Great Depression. During the 1930’s, the New Deal programs began to hit Akron, along with prohibition and gambling. Wartime mobilization pushed factories into full production. By 1950, Akron’s population was nearly 275,000. Small businesses in Akron and surrounding areas began thriving. 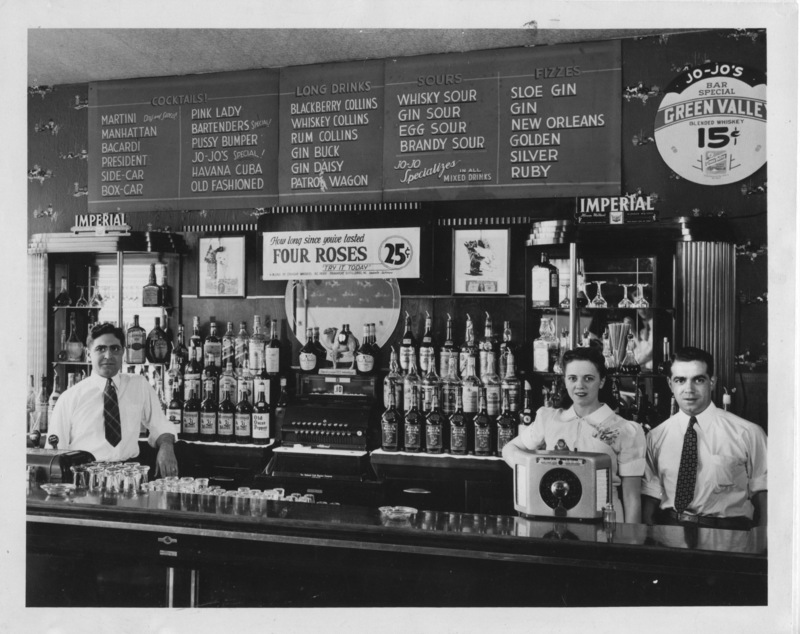 Joe Catanese (my grandfather Carl’s brother) was a World War II Veteran, and in 1942 he returned and his family opened Jo Jo’s Tavern on E. Tallmadge Avenue. It operated for 21 years, with constant business from Akron’s factory workers and the like. Following WWII, the traditional industries like the Goodyear company began their decline, and Akron faced financial downturn. 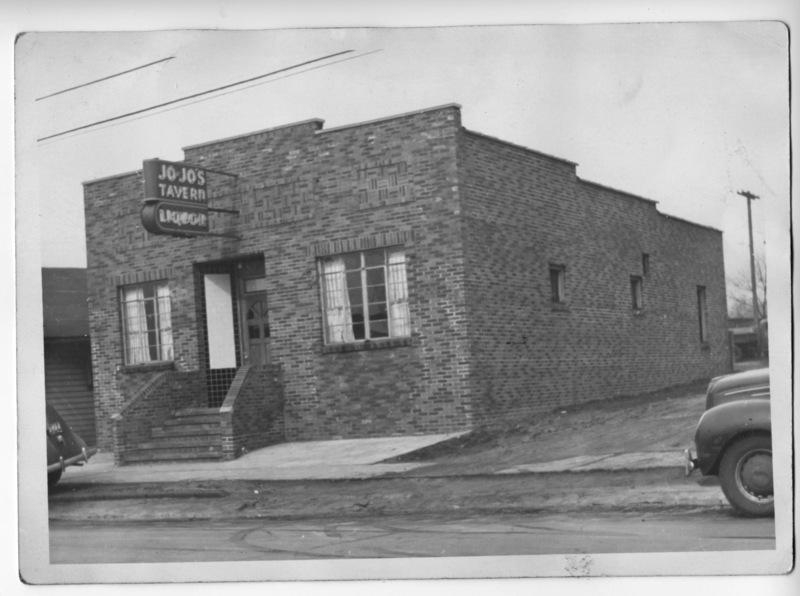 A population decline ensued, and Jo Jo’s Tavern was sold in 1963. Run by a fellow named Jo-Jo. And they call Russ Copping the same. Because of his funny euchre game. You’ll see them all on parade. Hangs funny signs all over the place. He buys a drink every once in a while. From Bucket of Blood to Chesterfield. Though he bets the yanks and DiMaggio. Comes in sometimes for a drink or two. About places, people and dates and things. The names of them all would fill a book. But come in and you will see them all. Wandering why the crowd all stayed away. Here’s hoping I’ll see you there some day. And drink Iriquis and Copenhagen Castle. To come to 803 E. Tallmadge Avenue.